What Ever May be the Adversity We Cant stop Working toward Our Destiny . 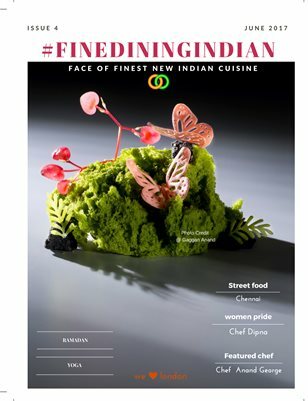 Rise again..
We are so grateful and happy that Finediningindian Food Magazine is Increasing its Reader ship and International Reach Day by day . We believe you will enjoy reading about our featured chefs and how their passion, hard work has brought them into the limelight. I would personally like to thank My wife supriya premaraj , My cousin Sisters Priya and Deepa for Proof editing the magazine. We urge all Indian chefs around the globe to contribute your recipes and articles for our future issues. We are also looking for promoters, through product placement advertisement.